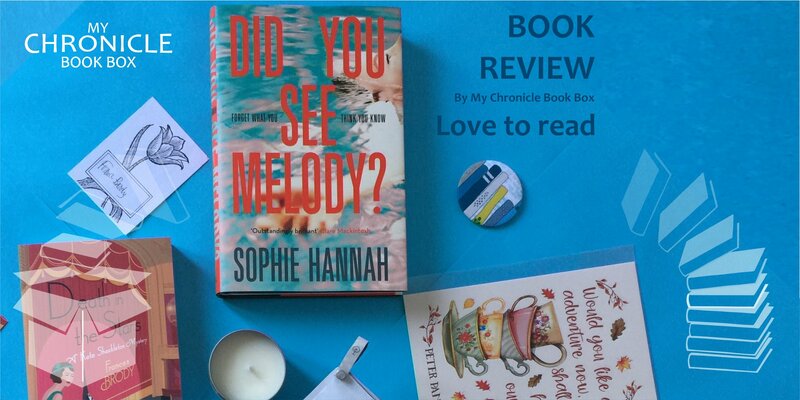 A My Chronicle Book Box review of Did You See Melody? by Sophie Hannah, see our blog for the full review. When Cara Burrows realises she has seen the allegedly murdered Melody Chapa she feels compelled to investigate further in spite of the potential danger. This is a well written novel that you will struggle to put down and will get you thinking.